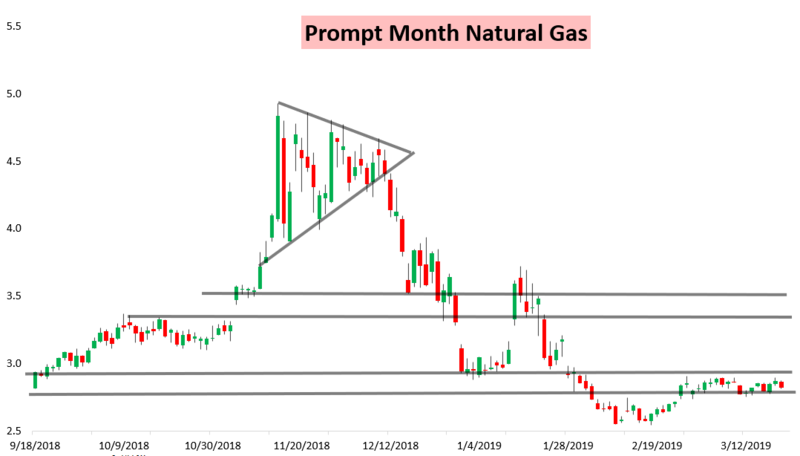 April natural gas prices ended the day down about five cents. The market came under pressure first on weak fundamentals data. 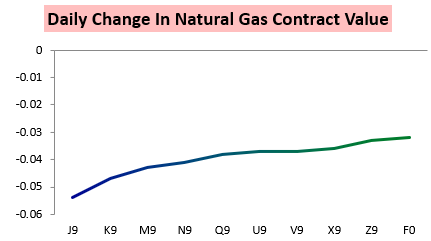 Unlike yesterday, where the front month contracts had the most relative strength, the front of the natural gas curve was the weakest. This resulted in a complete reversal of yesterday's move in the April / May spread, with the spread going back negative today. 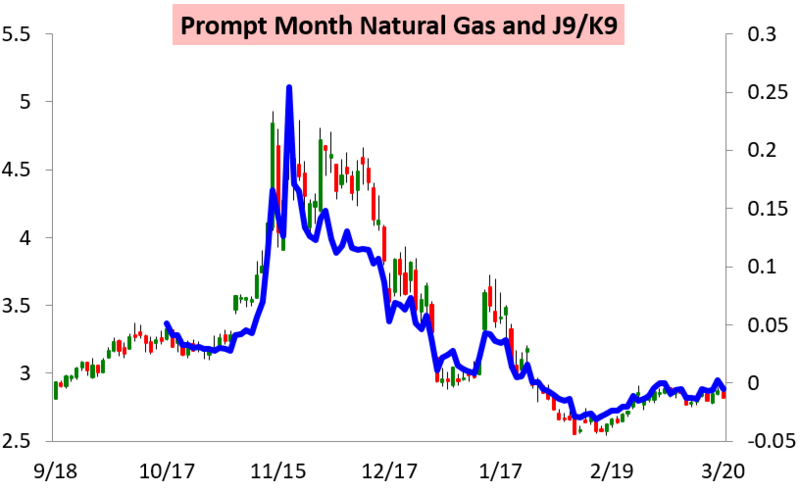 The reversal was also seen in the April / October spread, almost perfectly negating yesterday's move. 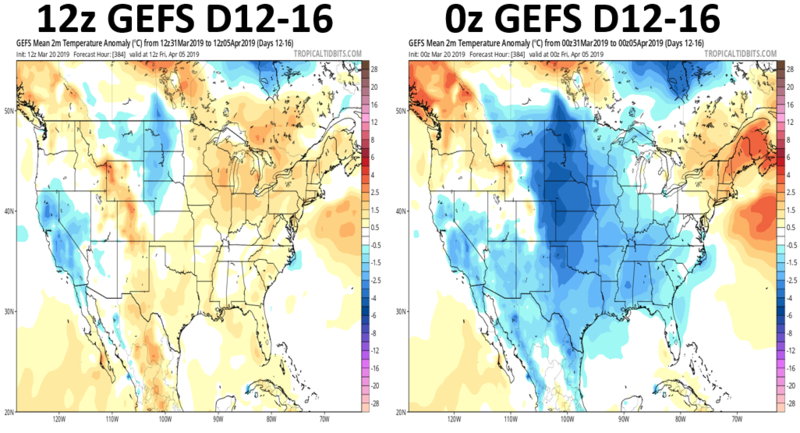 We saw additional pressure on prices from some of the midday weather models, most notably the American ensemble (GEFS), which made a notable warmer change out in the 12-16 day time frame when compared with the overnight 0z run of the same model. 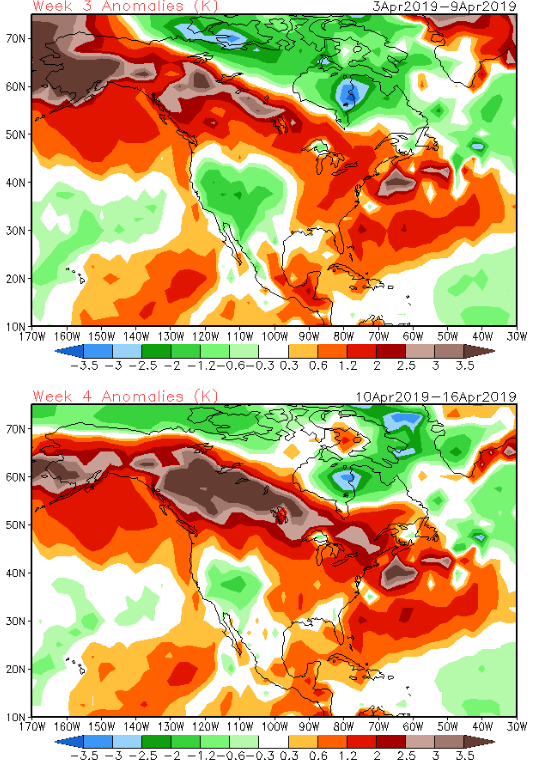 The end of the model run also showed a pattern that would not be conducive for colder weather in the key energy consumption areas of the U.S, with an enhanced warmer ridge in the eastern part of the nation. 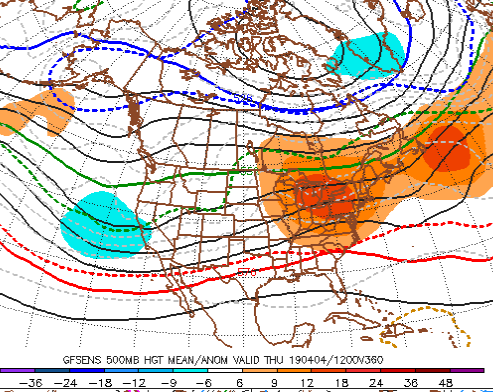 We must be cautious in trusting these weather models, as they have been prone to wild changes in recent days, and often do struggle in the transitional seasons of Spring and Autumn, but the warmer, lower demand idea does fit with the longer range climate models into the first half of April. Moving forward, these recent weather changes will have to be judged in conjunction with latest balances along with tomorrow's EIA number. 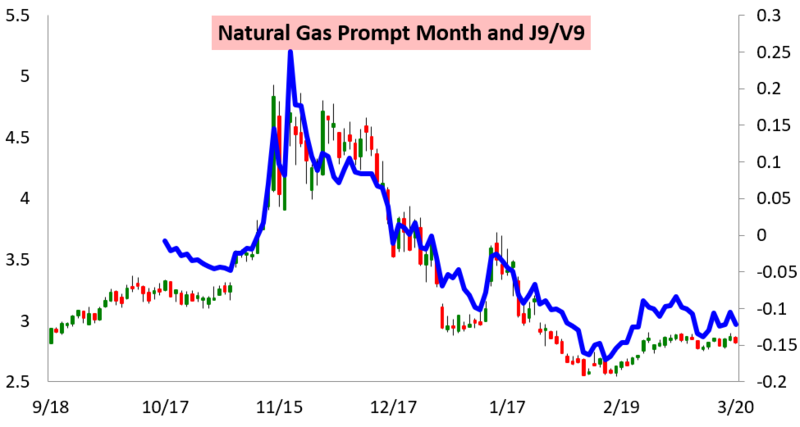 Sign up for a 10-day free trial here to give our research a look and see our viewpoint regarding risks to natural gas prices in the coming days.